Time for another sneak peek at my iPhone camera roll, and a round up of what I've been up to over the last few weeks. 1) I treated myself to the Olympus Pen camera just before Christmas. I'd fancied a new camera for ages and after reading a few reviews of the pen I decided to just go for it. I love using it for vlogging, the flip down screen at the front is ideal although I am falling into that typical vlogger habit of staring at my own face rather than the lens. Sorry! 2) & 3) I was in charge of organising our work Christmas party this year and I'm pleased to say it was a huge success! We held it at Surgeons Hall in Edinburgh and as well as the usual drinks and dinner we included a tour of the pathology museum (lots of body parts in jars - lovely!) and casino tables after the meal. It was so much fun! I ended up getting far too into the gambling though so it's just as well it wasn't for real money. 4) I will never get over the view from my office, especially when the sun sets like THIS. 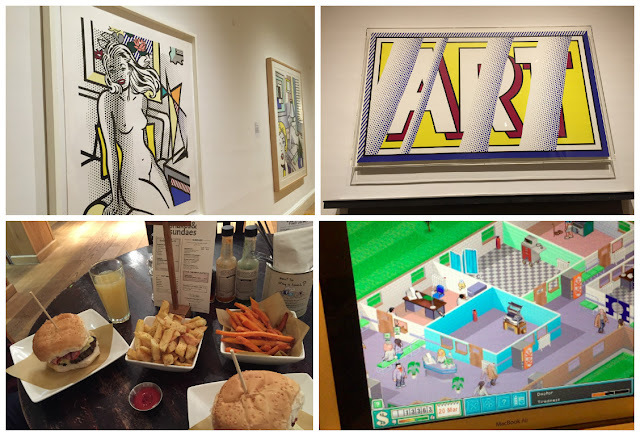 5) & 6) Before going back to work after the Christmas holidays, Blair and I went to the Lichtenstein exhibition at the National Gallery of Modern Art. 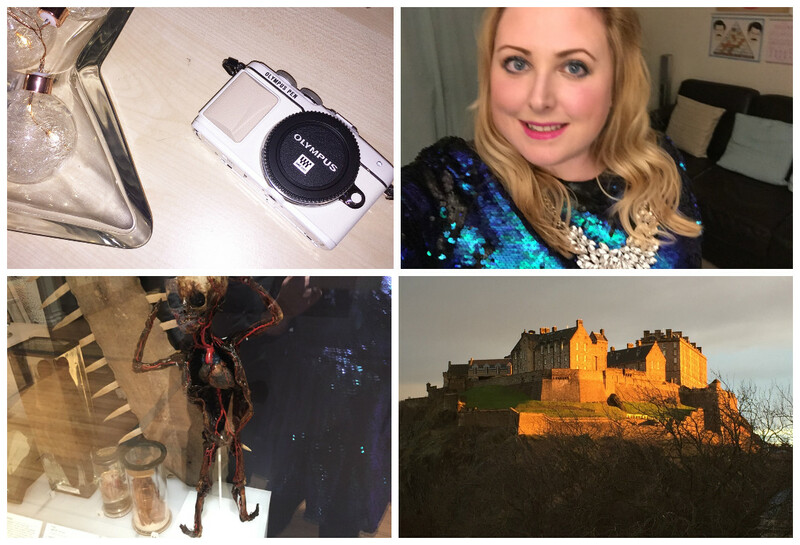 I looove this place, it's my favourite gallery/museum in Edinburgh. The exhibition was really cool, we've already decided that we'll buy a copy of Reflections of the Scream for the nursery of any future children! 8) I rediscovered my love for Theme Hospital over the Christmas holidays and have unashamedly been spending my evenings playing it. I'd forgotten the joy of getting new diagnostic rooms and clinics (unless of course you use the cheats and get them all right away, ahem) and the rage at being hit by an epidemic, emergency AND an earthquake all at the same time (goodbye spotless reputation). 9) & 10) One of my really good pals Rich (who I've worked with for 7 years, and introduced me to my now husband B!) is moving to Dubai this month so we had a big leaving do to see him off. We went for a meal and drinks at Tigerlily followed by more drinks and dancing to terrible music at Shanghai. It was a lot of fun, and I'm so glad I had the foresight to book the next day off work as I definitely needed it! 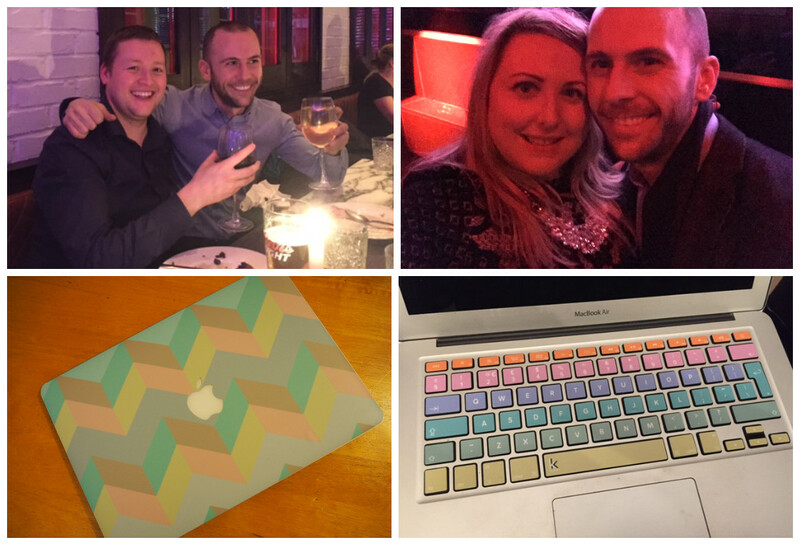 11) & 12) Look how pretty my laptop is now!! The decals were both from Etsy - the front sticker was from SkinLee and the keyboard stickers are from Keyshorts.